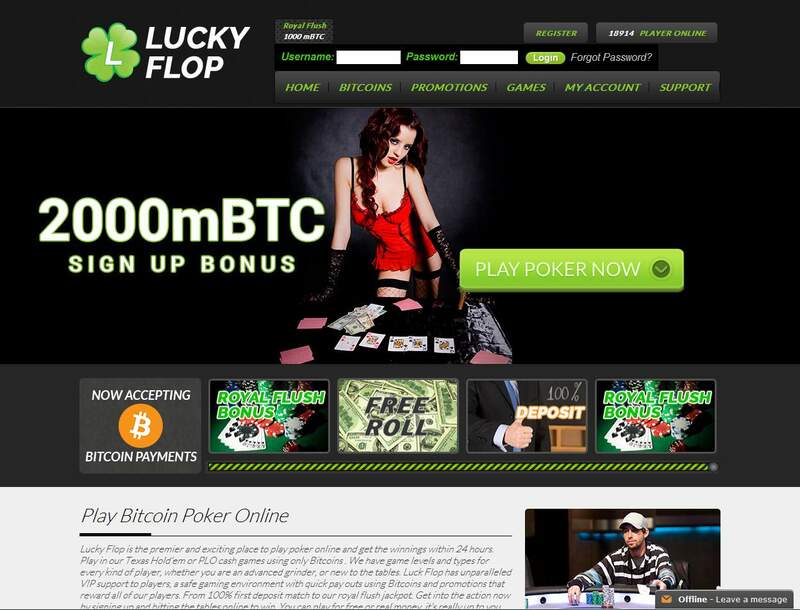 Launched as another Bitcoin poker room, Lucky Flop provides an alternative online poker experience in the cryptocurrency world. Although it operates exclusively with Bitcoin, this website boasts the latest HTML technology for seamless gameplay. Moreover, it is not like the traditional online poker rooms that require a download because it instantly functions in any web browser. Poker aficionados are guaranteed to have a blast playing on this platform, thanks to the myriad games and features it offers. First on its list is the wide range of poker games like the popular Texas Hold’em and Omaha, together with the other variants. Along with the poker games are the different types of limits, and these include microstakes and high-limit games. 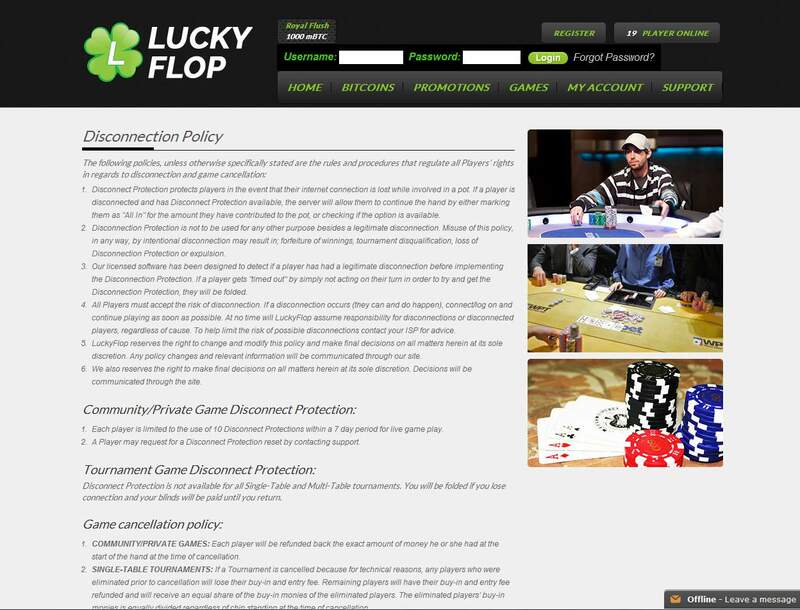 Players will have the freedom to choose whether to play with limit, no limit, or pot limit. Likewise, they can easily choose from several tournaments, including sit-n-gos and freerolls. 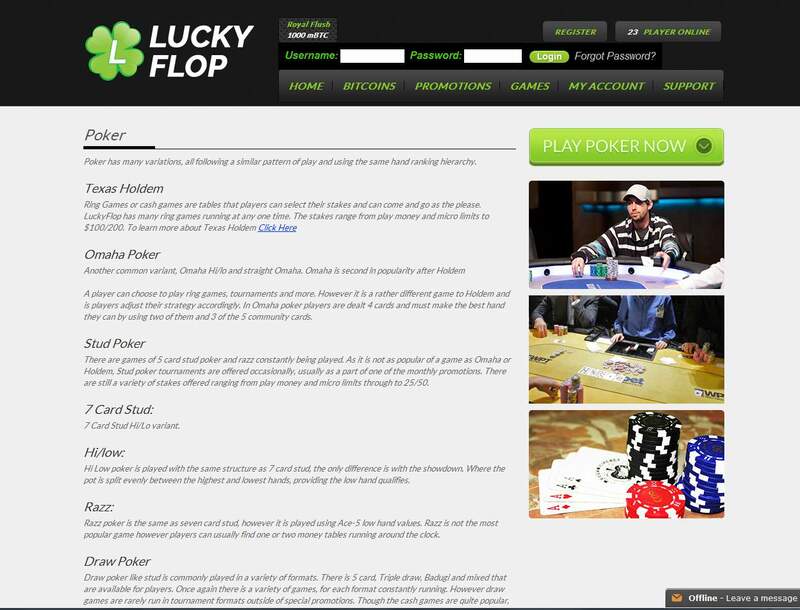 However, perhaps one of the best features on Lucky Flop is the option to play multiple tables at the same time. This website allows you to play poker with Bitcoin without any problem; the same goes with its payment system. When you deposit bitcoins to the specified Bitcoin wallet address, the waiting period will only take 30 minutes at most. This is due to the fact that every deposit must go through two network confirmations, which may take at least 10 minutes. Also, all BTC deposits are automatically converted to chips, where 1 BTC is equal to 1,000 chips. Withdrawing, on the other hand, will require a longer time, but cash outs are guaranteed to be delivered to the respective addresses. This poker room is honest enough to state that withdrawals may take a few hours but not more than 12 hours due to the verification processes. This means, then, that higher volumes will require more time. If you think that bonus giveaways are only for casinos, think again. 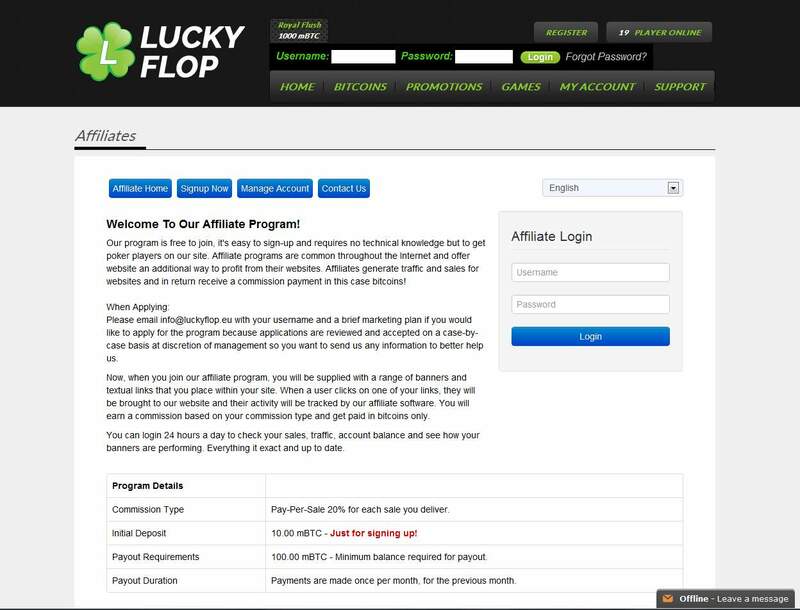 Lucky Flop has enough promotions up its sleeves, guaranteeing bettors a more enjoyable time playing cards. For instance, newly signed up players may have a bankroll of up to 2 BTC when they avail of the 100% welcome bonus. Their initial deposit will be instantly doubled, giving them a larger bankroll to start their games with. Other interesting promos are the Royal Flush bonus of up to 0.2 BTC and the Bad Beat bonus that rewards up to 1 BTC. Aside from these, there will also be freeroll tourneys held regularly in this poker room. The schedule is announced through its weekly newsletters. Should you play Bitcoin poker here? If you are after a range of poker games and tournaments, you are guaranteed to have a great time on Lucky Flop. After all, the accounts are anonymous, the support team is responsive, and the gameplay is more than reasonable. However, this Bitcoin poker room is only available to bitcoiners, so those who prefer using altcoins may have to find elsewhere to play cards. Regardless, you should find the overall Bitcoin poker experience here more fun, especially with the help of the winning poker strategy and techniques.